For thousands of years, followers of God have believed it was possible to hear his voice, to be led by his influence in finding answers to life’s questions. Join us for this sermon series as we learn how to navigate the pitfalls of humanity by letting the Spirit lead your story. In this life, are we just living, or are we living with a purpose? God has plans for us, but it is up to us to follow the path he has laid out. There will be stumbles along the way, but we must press on toward the ultimate destination: Heaven. We cannot do this alone. We must strive together and keep each other motivated. In today's society, it is very easy to listen to things without actually hearing them. When you hear good direction or advice, it needs to be followed. The scriptures are filled with God's plan for our lives and we have to not only listen to what it says, we need to obey it. Living out God's plan is the only way to truly understand all that he has in store for us. Listening can often be a difficult for many people. Most specifically actively listening and not just waiting for your turn to talk. 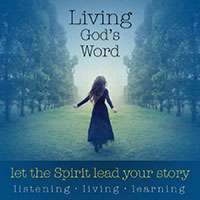 To truly get the most out of God's word, we have to be actively listening for what it and the Holy Spirit are trying to say. Often that means quieting our minds and focusing specifically on what the words say, rather than just reading through them mechanically.